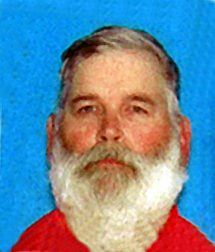 The Fence Post obituary: Frank Earl Embree Jr.
Berthoud, Colo., formerly of Kersey, Colo.
Frank Earl Embree Jr., 56, of Berthoud, formerly of Kersey, passed away Dec. 13, 2017, at Mckee Pathways Hospice in Loveland, Colo. He was born Oct. 28, 1961, in Longmont, Colo., to Alice (Peters) and Frank Earl Embree Sr. Frank grew up in the Kersey area and graduated from Platte Valley High School. He attended Wyoming Tech and Aims Community College. Frank worked a number of jobs over the years, including in School District 6 as a mechanic and most recent at RJ Mann in the oil and gas industry. He enjoyed trap shooting clay pigeons and shooting sports. Frank helped to raise money for organizations through shooting events and was an instructor for kids. He also drag raced motorcycles. He was a member of National Sporting Clays Association. Frank is survived by his wife, Sammie Embree of Berthoud; children, Sophea Khuth and companion David, Ratha (Paula) Khuth, Sambo Scott and companion, Nick, and Michael Hem; four grandchildren; two great- grandchildren; and numerous aunts, uncles and cousins. Visitation was Dec. 20, followed by a Life Celebration Service. Interment was in Mizpah Cemetery, Platteville, Colo., with a reception following at the Platteville Community Center. Memorial contributions may be made to the American Cancer Society in care of Adamson Life Celebration Home, 2000 47th Ave., Greeley, CO 80364. Friends may leave condolences at adamsoncares.com.